Yesterday I started up a new portrait and this is the initial sketch. 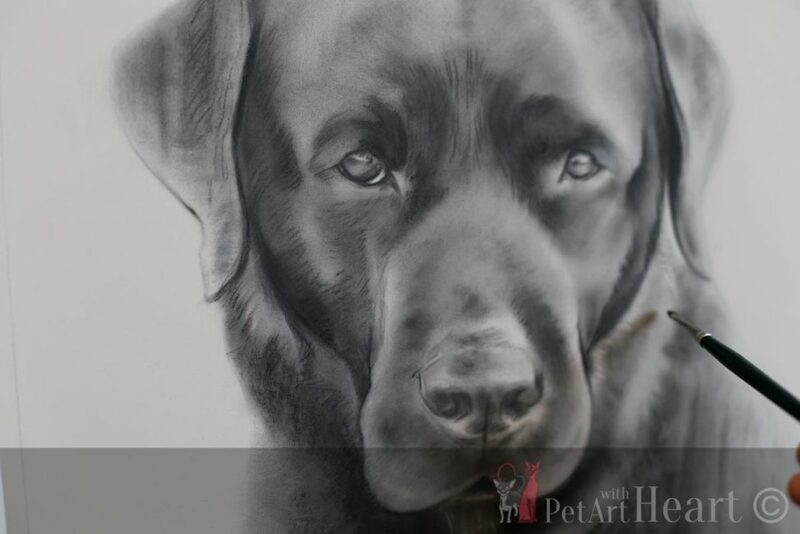 Klas is black labrador and will be drawn in size 40x40cm on grey Canson Mi Tientes Touch paper. 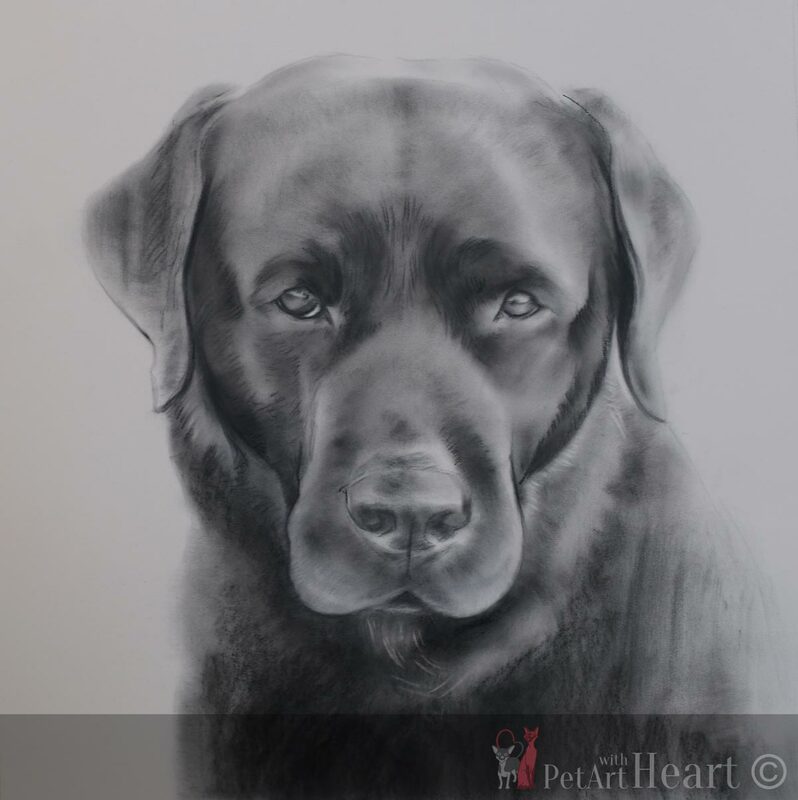 As soon as the drawing is completed it will also get framed here in my studio. My local framer will have closed for summer holidays from next week, however he will arrange everything for me before then. I’m glad he could do this for me as this drawing will serve as a gift very soon. The artwork will look stunning with all grey / black and white highlights!